Beef and 1 Guest are viewing this topic. FSIPanel is new software for Flight Simulator enthusiasts. It allows you to train like professional pilots do. 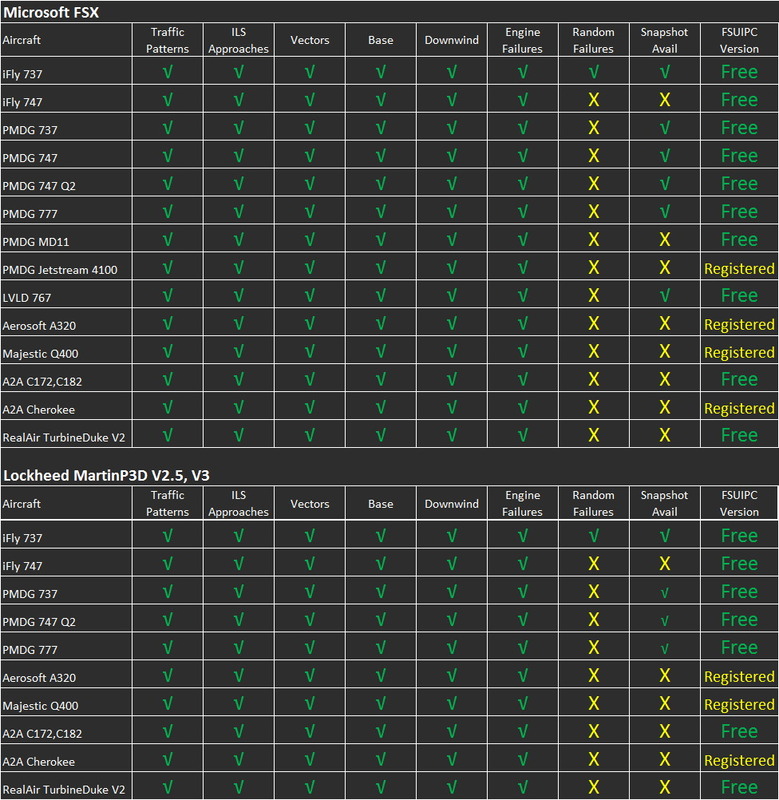 Compatibility: FSX and P3D compatible. FSiPanel is new software for discerning Flight Simulator enthusiasts. This utility allows you to emulate the training habits of professional pilots. As an airline pilot with 15 years experience and a huge fan of Microsoft's Flight Simulator. I wanted to develop a tool that provides repetitive professional simulator training for the highly-sophisticated aircraft that are modelled in FSX and P3D. I found it frustrating that after landing - in order to fly another approach - you must: reposition the aircraft on the ground, re-program the FMS, re-configure the whole aircraft, take off again, and fly the circuit - all of which takes another 15 minutes of your valuable time in order to be able to set up another practice approach. Therefore, I developed FSiPanel, so that it only takes you a few seconds to set up each detailed practice approach, just like the professionals! 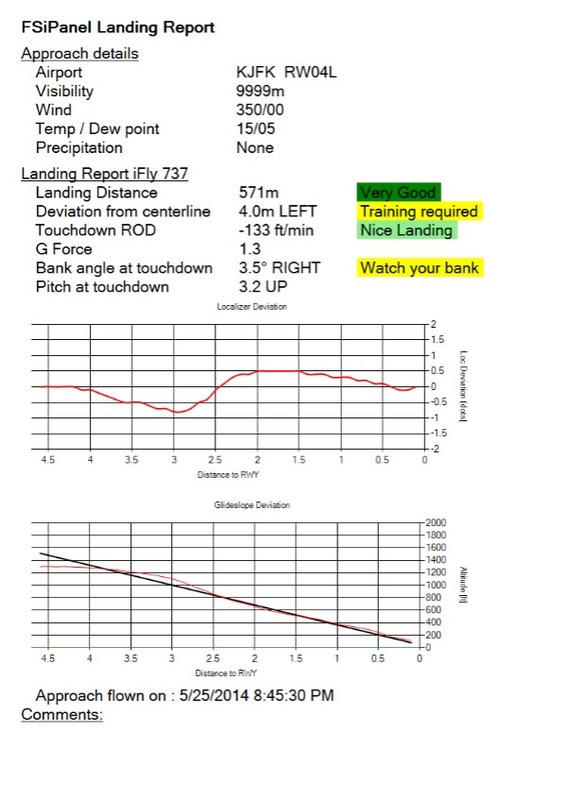 FSiPanel allows you to use a simple but powerful 'point-and-click' instructor panel (on a stand-alone PC or server) to repeat approaches and landings training. • Final approach from any distance. • 10'000, 20'000 or 30'000 ft in cruise. • On runway threshold for a traffic pattern. FSiPanel is designed to help you train your high end aircraft the same way as we train in the airline environment. FSiPanel will support the major high end aircraft and more aircraft will be added based on users request. • Takeoff: on runway threshold, configured for departure. • Downwind: lefthand or righthand downwind in a 'clean' configuration. • Base: left or right base in an appropriate configuration. • Vectors: 30° intercept heading for the ILS approach at the correct altitude. • Airwork: select 10,000 or 20,000 or 30,000 feet, train Emergency descent or engine failure at high altitude with driftdown required. • NEW STAR (Standard Terminal Arrival Route): use Navigraph or Navdata Pro database. • Pilot's waypoints, create your own waypoint based on navaids, coordinates or aircraft position. • Quick set IFR: including CAVOK, CAT1, CAT2, CAT3 and NOVIS. • Real Weather: download METARs for current airport then select one from previous 7 hours. • Historical Weather: select Airport then Date then METAR. • Point-and-Click: Heading, Tailwind and Left or Right Crosswind. • Random Scenarios: select runway minimum length, ILS, or NPA for auto-selection of airport and approach. • Landing Training: after landing, just set your parking brake and FSiPanel will send you back for another approach. "I started my career as airline pilot in 1998 with a Swiss regional airline called Crossair flying the Saab 2000. In 2002, I joined Swiss Intl Airlines and recently joined a middle east national airline flying as Captain and instructor. I'm a big fan of flight simulators, reason why I've created this software to allow serious simmers to train sophisticated aircraft as we would train in the airline. Thank you to my beta testers pilots, they have flown hundreds of approaches in all different possible positions to improve and correct the software." How to setup an approach with iFly 737 in Zurich using the actual weather. General demonstration of FSiPanel See how to prepare your approach, set your weather and fly! This video will introduce you to FSiPanel and its general features. • New OEI approach to LAND. In this video, I will show you how to use the snapshot feature for your training. • T/O from KJFK with Engine Fail in actual weather. • OEI ILS approach LAND. How to use FSiPanel with Aerosoft Airbus extended. A great piece of software to solve a real-world problem and a great training tool. Through repetition, this will help pilots to get up to speed with the maneuvers. Designed by a real-world pilot passionate about enhancing pilot training through virtual flying. FSiPanel 2017 for FSX is now ready to enter beta phase. Beta testers are needed for all available aircraft. - FSX or FSX steam edition. I've looked at this before. Seems like a great tool. I've held off on it but seems usefull. There's also FS-Flight Control which can be purchased at simmarket, works with all sims (prepar, fsx, and xplane). Doesn't seem to have as intricate detailed support for specific airframes though, but it's still under development. There's also FS-Flight Control which can be purchased at simmarket, works with all sims (prepar, fsx, and xplane). Doesn't seem to have as intricate detailed support for specific airframes though, but it's still under development. 1. You need to be online to use it. 2. The support is for 1 year only. It means you will receive all new versions up to one year after your purchase for free. After that you must pay! I have used FSiPanel. It is constantly being improved and added to. The developer is a professional pilot who enjoys flight sims as well. He is open to adding features requested by the community. He is also fast at putting out regular updates. I am happy with FSiPanel at this stage. FSiPanel does seem like the better product. I just with they had more aircraft you could use it with, but they got all the big ones supported which is good. FSiPanel has a growing selection of "complex" aircraft. The previous version allowed you to use "basic" aircraft as well. This feature is coming soon. Special section on the forum is open for the Airbus. Expect VNKT 02 very soon on the forum. - Added support for Aerosoft Airbus A320/A321 PRO on P3D V4. - Added option to disable Quick Landing Summary after touchdown. - Fixed aircraft aligned left of localizer on certain airports.